How can we help as a community? 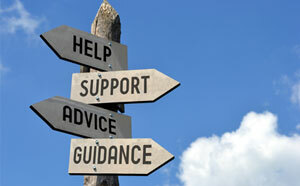 Financial Counselling is a free service that assists people in financial difficulty. Financial counsellors provide information, support and advocacy and offer sound advice and support to anyone struggling to make ends meet. They have extensive knowledge of law and policy, including consumer credit law, debt enforcement practices, the bankruptcy regime, industry hardship policies and government concession frameworks. More information can be found on the Financial Counsellors website. The Monseysmart website also offers helpful advice, tools and information to assist in making sensible financial decisions. Should you find yourself homeless or at risk of becoming homeless the following organisations can help you in your time of need. You are homeless and need urgent help in finding accommodation. You are escaping domestic violence and need help. You need someone to help sort out a serious problem. You are alone or afraid and urgently need to talk to someone. You are concerned about the wellbeing of a child. Arguments are causing unhappiness and problems in your family. Assess individual circumstances on the phone or in person. Provide individuals with information on accommodation and support options to increase their chances of securing accommodation. If eligible, provide formal referrals to specialist homelessness services and other accommodation or support options. Set up a time for an assessment and then refer to the most eligible appropriate services. Provide information on accommodation and support options to assist people to seek their own accommodation. Youth Place - provides supported housing to young people aged 15 to 25 who are homeless or at risk of homelessness. They are able to stay for up to a year after which time they are referred to longer-term housing provided they can demonstrate adequate independent living skills. 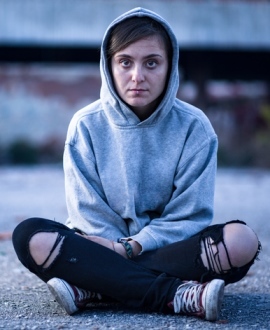 Housing Support Workers - support young people at risk of homelessness to maintain stable accommodation and also assist by linking them in with mainstream and community services , including assistance with accessing education, training, medical care and recreational activities. Showers and toiletries, hot meal and cuppa. Family food hampers, toiletry packs, clothing, swags, sleeping bags. Blankets, food parcels, food vouchers, furniture. Food hampers and public transport passes. Crisis accommodation for people ages 15-19. Refuge for women under 25. Medium to long term accommodation for young people aged between 16-25. Supported accommodation for people aged 16-19. Alcohol and Drug information services - 9442 5050. The Spiers Centre - 9405 9507. Financial Counselling Australia - 1800 007 007. Lifeline - 12 11 14. Beyond Blue - 1300 22 4636. Headspace - 1800 650 890. Educate - Learn about the various reasons behind homelessness and understand the face of homelessness changes every day. Every story is different. When you understand it share your knowledge with others. Respect - Always treat others as you would like to be treated yourself. A homeless person is someone's son, someone's sister, someone's father. Volunteer - Time is precious, spend it wisely. Volunteering your time and sharing your skills and knowledge can have a great impact on someone's life. 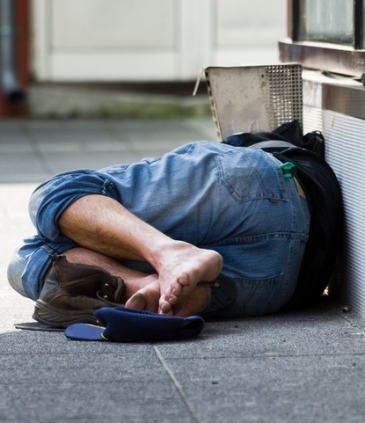 The City of Wanneroo adopted a Regional Homelessness Plan in December 2018. The Plan has been developed in partnership with the City of Joondalup and is the result of thorough collaboration between the two Cities. The Regional Homelessness Plan includes input from stakeholders in the community who have an interest in the optimum wellbeing of people at-risk of, or experiencing homelessness. The Regional Homelessness Plan seeks to provide a framework that will inform how the Cities respond to homelessness and provides milestones for action. Further information regarding the Regional Homelessness Plan, contact the City's Community Development team on 9405 5000.